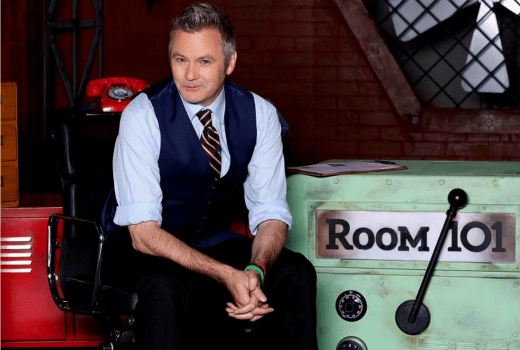 SBS has delayed its launch of upcoming Paul McDermott chat show, Room 101. The series sees McDermott’s return to television chatting to celebrities such as Ray Martin, Julia Zemiro, HG Nelson, Julia Morris, Matt Preston, Noni Hazlehurst, about their pet hates. Originally due to premiere next Monday at 9:30pm, it has been held by SBS pending an earlier timeslot later in the year. SBS will replace it with a repeat of Gourmet Farmer Afloat. “SBS has decided to reschedule Room 101 to later in the year. Room 101 is a priority for the network and we have decided an earlier evening timeslot is the best fit for the show and SBS audiences. We look forward to confirming a new broadcast date soon,” an SBS spokesperson told TV Tonight. SBS Programmer Peter Andrews was recently asked by TV Tonight if the 9:30 Monday slot was a big ask for a new entertainment show. “Yes, but we’ll do everything to make some noise so the audience know that Room 101 is there. There’s no soft timeslot as you know in television − not at all − so it’s about, we’ve established 9:30 on a Monday night as where we’re, you know, a little bit of entertainment and comedy, so we want to keep that going,” he said. Australian talent pool too small, conversation too narrow………/next! The problem with Room 101 as a format is that it’s based on negativity and watching famous people talking about things they don’t like makes them all come across as bores. Disappointing. I was looking forward to this one. I’m not mad for McDermott but I like the concept and the guest list.